The Grand Tour has to be the best way for you to discover the two sides of Lanzarote, offering you everything you need in order to enjoy your holidays in the midst of wild nature. 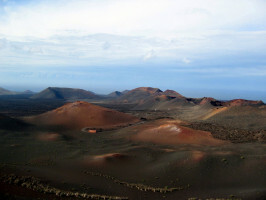 In this excursion we will visit the Timanfaya National Park – you will be amazed and humbled by this unique volcanic landscape. You will be witness to different geothermic experiments demonstrating the intense subterranean heat, how water is converted into steaming geysers and how bushes burst into flames. 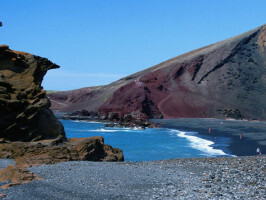 Next stop is Los Hervideros, where you will be left speechless by the spectacle of the wild sea foaming up through volcanic tunnels and caves and the Green Lagoon at El Golfo. Then there will be plenty of time to relax over a leisurely lunch at Yaiza. 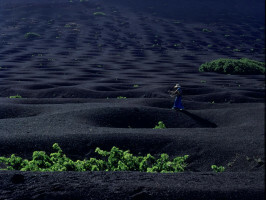 After lunch we will continue through the otherworldly volcanic landscapes, heading for La Geria, the islands main wine growing region. 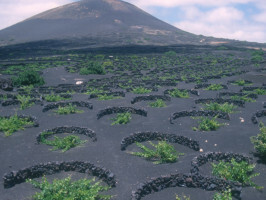 Here you will be amazed at the effort taken for each of the tiny vines to grow and will have the opportunity to try some of the island’s excellent dessert wines, including Malvasia and Moscatel. 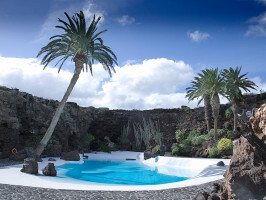 The last stop will be at Los Jameos Del Agua, a tunnel formed by cooling lava, decorated by the famous local artist, Cesar Manrique. 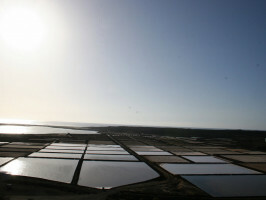 Its salt water lagoon is home to a species of small blind crab, unique in the world. On the return leg, you will pass through the whitewashed villages of Mala, Guatiza and >Tahiche. English, Dutch, French, German, Italian and Spanish. guide/instructors speak: English, Dutch, French, German and Spanish.